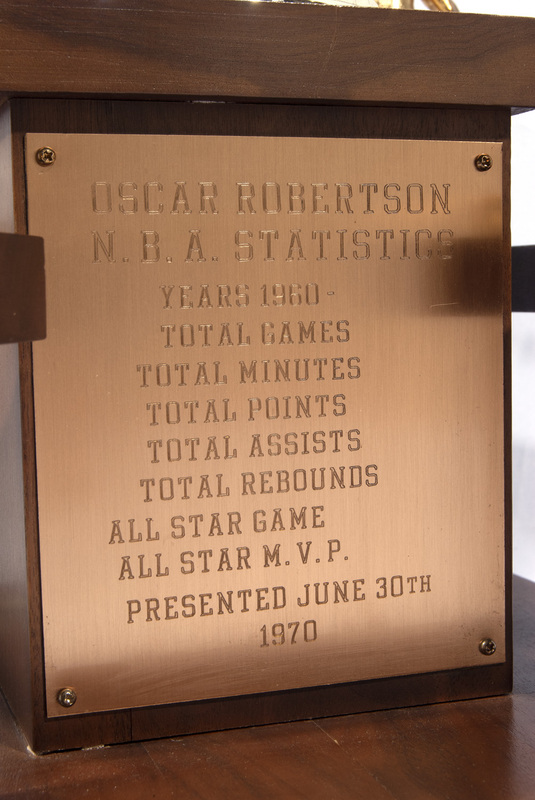 After a decade in the NBA, Oscar Robertson left a trail of statistics that he rode right into the Basketball Hall of Fame. This imposing trophy weighs in at a hefty 13 lbs. and rises an impressive 30.5” tall atop 11.5” x 11.5 wood base upon which is mounted a heroic basketball player atop a silver washed urn. The base features a brass plaque dated “June 30th, 1970” around which is mounted four additional gold-washed basketball players. The trophy is in very good condition with some light surface scuffs from age. An impressive career tribute from one of the game’s greatest players. 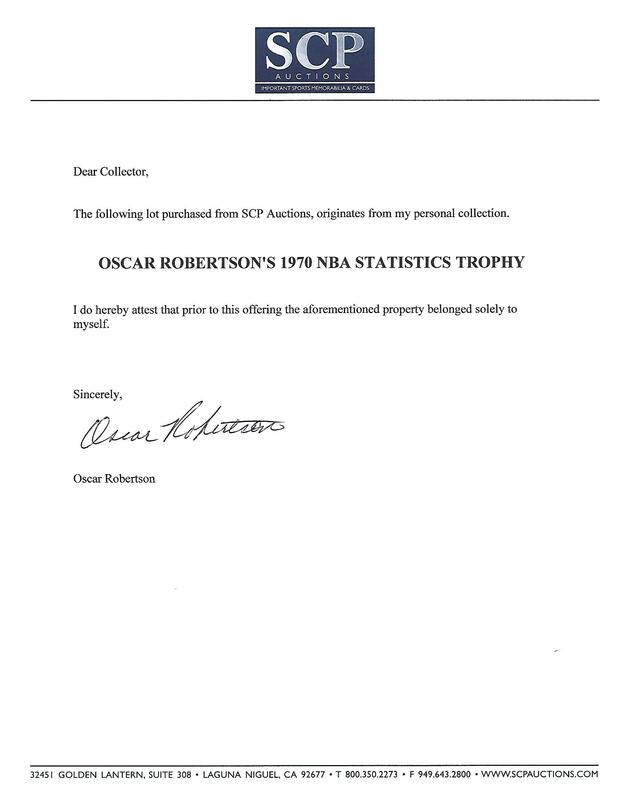 Includes LOA from Oscar Robertson.